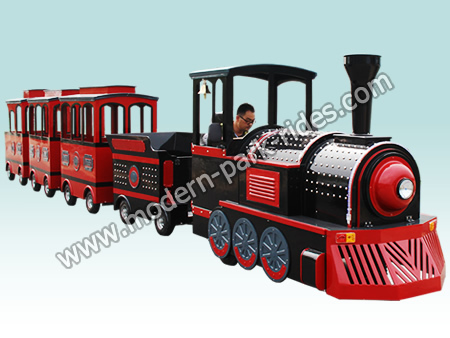 Can add led lights and steam unit. 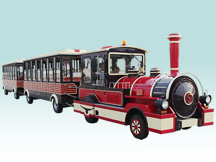 Modern tourist train can be classified into two types, track train, trackless train and mini tourist train, usually the track train drives by diesel, petrol, and electric power, the trackless train drives by fuel oil and storage battery, however, they are all widely used and hot selling at home and aboard. 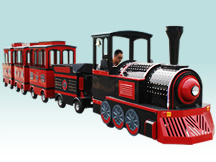 The appearance can be designed by ones’ preference, such as archaized or DIY. 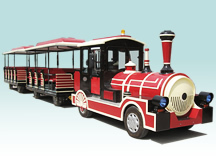 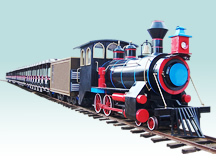 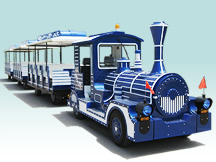 The mini tourist train is produced for kids,most used in the mall,little money big return.Meanwhile, the best materials of body and chassis forms a combination of durability, life long and ease of maintenance in high traffic environments in malls, pedestrian street, zoos, amusement parks and so on.